In 2017, XRP exploded in both popularity and price. While some believe this was a pump-and-dump situation, the cryptocurrency continues to gain momentum through the early months of 2018. I think this is a good start for the token, but it has a long way to go with a bright future. Although I believe XRP is a great investment opportunity, keep in mind that any investment is a risky affair. Do invest with caution and be sure to read this guide to get the best tips when purchasing XRP. There is a myriad of ways to purchase Ripple. The most used method is with the assistance of Bitcoin. As investors of the original cryptocurrency are always looking for financial opportunity, exchanging one token for another is common practice. However, there are more traditional options such as bank transfers and credit/debit card. Below, we’ll examine each method in greater detail. The most convenient method to acquiring Ripple is through the use of Bitcoin. 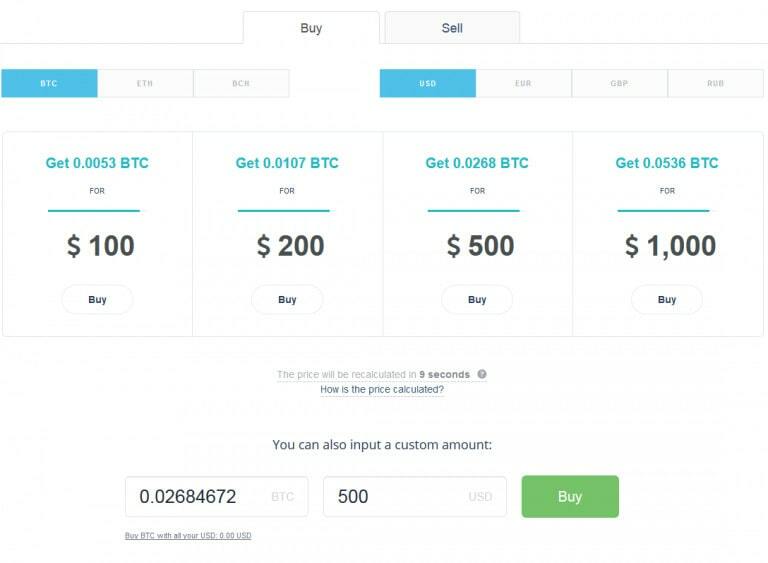 Typically, most exchanges will offer a BTC:XRP trading pair if they offer XRP. If you don’t have any Bitcoin, you are able to purchase some from any exchange with traditional currency. If you don’t want to go through the added step of obtaining Bitcoin, most marketplaces will allow users to spend common fiat currencies to directly purchase XRP. Having a credit/debit card for easy access is a great way to get Ripple at willing. The available currencies are typically restricted to EUR and USD, but others are accepted at particular exchanges. Aside from the usual currencies, exchanges in certain countries with high demand for foreign coins may accept alternative fiat currencies. These include MXN (Mexican Peso), AUD (Australian Dollars), JPY (Japanese Yen), CNY (Chinese Yuan), and KRW (South Korean Won), among others. Check your favorite marketplace to confirm if they do business in one of these. Using your standard bank card is one of the safest ways to purchase XRP due to the data security standard of these cards with modern PCI DSS technology. 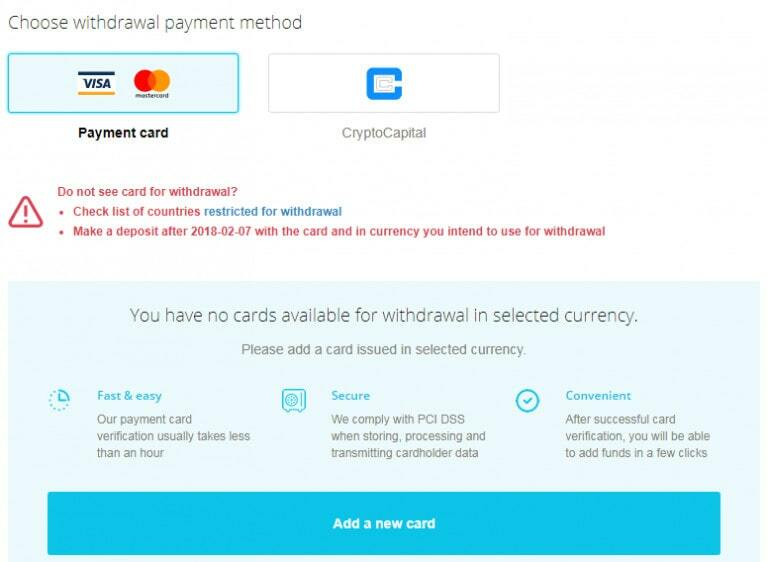 While bank transfers in bulk charge low fees and using Bitcoin will charge you only a small network fee, using your card is one of the more expensive options. In the case of CEX.IO, check the table below for listed fees. The good news about utilizing your bank card is that you can use any native currency that is convenient for you. Any currency deposited that is not compatible will be swapped for an accepted one. However, there is a fee associated with this transaction. Based on the exchange rate, it may be more worth your time to purchase Bitcoin with your native currency first instead of using your card to receive XRP directly. The greatest aspect of wire transfers is that they are easy to understand and have high limits associated with them. This method is very secure due to AML and KYC policies. These ideas are the foundation for protecting bank customers. Know Your Customer (KYC) involves financial industries being required to verify your identity before processing transactions. The only downside is that wire transfers can take several days to complete. SWIFT is a communication system between international banks that allows the sending and receiving of information. It’s an important network because it allows the direct transfer of funds from one institution to another. While SWIFT is an international system, SEPA works within Europe. Banks which utilize SEPA have direct connections or connections through mutual banks. These transactions are usually faster and incur less fees than a SWIFT transfer. How to Buy Ripple on an Exchange? Buying Ripple on an exchange is a simple process, and the cryptocurrency’s website provides a list of marketplaces that offer it. You can trade fiat money directly for XRP or use a token trading pair such as ETH:XRP or BTC:XRP to receive it. 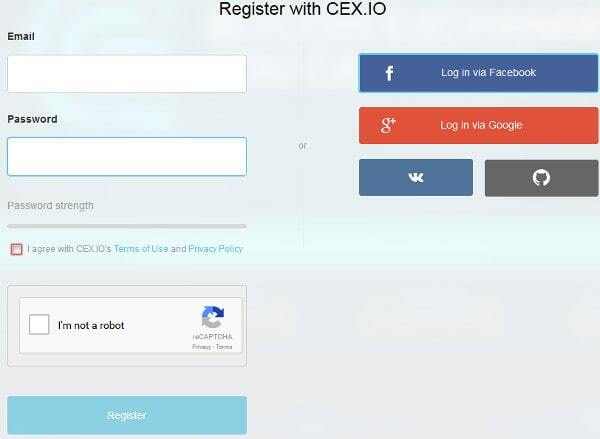 Using CEX.IO as an example, we will learn how to get started one step at a time. Creating an account, while easy, involves several verification steps. This is common on secure sites such as CEX.IO. The first task you’ll need to complete is to create your account using a personal e-mail account, phone number for SMS text verification and a password that meets complexity requirements. An alternative option is to link your account to social media sites such as Facebook. Once this is done, you’ll need to receive and enter the designated confirmation code. After this, you’ll be required to finish a final 4-step verification process. By now, you’ll definitely be eager to exchange XRP. 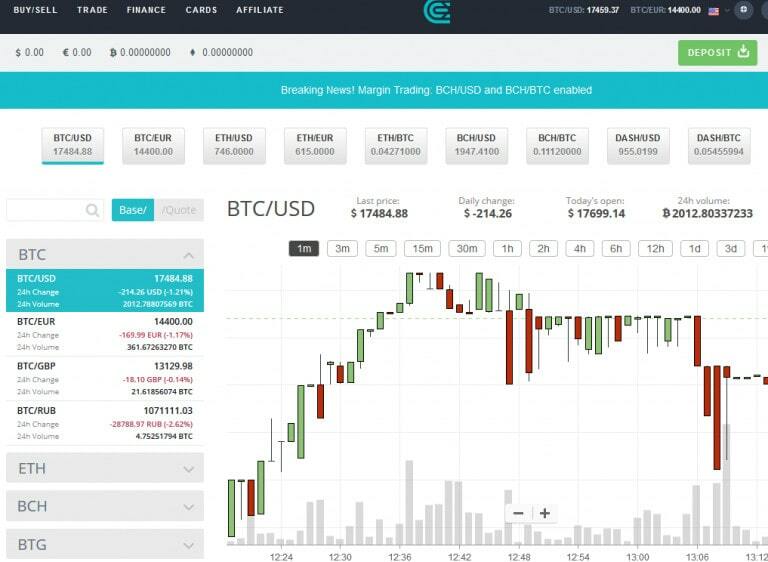 With CEX.IO, select the buy/sell tab and navigate to Ripple. Choose your preferred native currency and then you’ll be required to write in your credit/debit card information to continue. Another form of verification at this stage is required with pictures, but this is just a security precaution. Alternatively, you can always link your bank account and use a transfer over the course of a few days. The exchange menu will explain all of these options. One of these options is Bitcoin if you have a cryptocurrency wallet. Terminology is everything when getting into trading. Placing a purchase order sounds simple enough; select an amount of XRP at a certain price and the money will be deducted from your account. However, there are two types of buy orders. The first is a “market” order which instantly buys the token at the median market price. A “limit” order specifies a price and waits until a matching offer is initiated. Different marketplaces charge varying fees for these transaction types. Pairs for XRP include XRP:BTC, XRP:EUR, XRP:USD, and so forth. To get your Ripple off an exchange and safely inside your wallet, use the withdraw feature. You can move your XRP to a wallet such as a software or a hardware one such as Ledger. It’s important to remember that you must check twice your input information. Otherwise, your currency could be lost. If you want to constantly trade your XRP, keep it on the marketplace for easy liquidity. Ripple is unique in that it cannot be mined. There’s a static total of 100 billion—yes, billion—XRP available, but only a small portion is released to the community each month to prevent dumping. What Happens if the Ripple Network Gets Flooded? Ripple relies on a limber network to perform successfully. To combat flooding, every transaction has an exponentially increasing fee scale. The more transactions you do, the more fees you pay. Over time, these fees reset to normal. This means that the Ripple Network is highly resistant to tampering. What to Do When Sent XRP didn’t Arrive? Missing any cryptocurrency is a stressful situation. Remain calm. The first thing you should do if your XRP doesn’t arrive is to check the destination tag. If the tag was entered incorrectly, your best bet is to communicate with the receiving party and validate the transaction on the XRP Ledger. If all is well, then waiting is the only other option. Exchanges and the network can experience delays, so don’t fret if your token doesn’t appear instantly. How Many Financial Institutions Started to Work with Ripple? Several huge payment systems have begun utilizing the XRP usecase. These include MoneyGram, IDT, and MercuryFX amongst others. Public support and adoption of Ripple have begun to provide an avenue for financial institutions to utilize the xRapid protocol. XRP is one of the most traded coins, being beaten only by the biggest tokens like Bitcoin and Ethereum. Ripple was designed for the specific purpose of being a payment method for banking. Basically, its goal is to minimize the time and effort needed in banking and financial institution transactions. It combines the best in security and speedy payment times with a wide spread of initial and potential investors coming into the market every day. Oddly enough, Ripple wallets have a small booking fee associated with them. This is to combat users who would spam addresses. 20XRP is taken to create the account, which means you’ll likely not want to make more than one wallet. Before you decide on a wallet, do your research on the most popular ones so you don’t waste 20 tokens for no reason. Security should be your top priority, with simplicity being a close second. If the latter is what you’re after, then Toast Wallet is a good option as an open-source wallet. You are constantly in the driver’s seat with this wallet as your private keys are always in your grasp.